Current Hours: Mon.- Thurs. 9 a.m. to 5.pm. | Fri. 9 a.m. to 5:30 p.m. | Sat. 9 a.m. to 5.pm. | Sun. 9 a.m. to 5.pm. With our wide, sandy beaches and refreshing waters, it is easy to see why Corolla on the Currituck Outer Banks is a popular vacation destination among travelers from all over the country. But there is more to enjoy in Currituck County than just laid-back days spent along the North Carolina coastline. Currituck County is a region rich in history and serenity - an ideal vacation spot for golfers, families and honey-mooners. Sample the fruit of our vineyards and watch for wild mustangs frolicking in the surf. 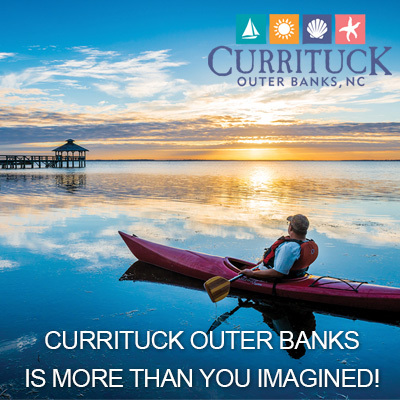 The Currituck Outer Banks is more than you imagined — come see why!